CIO leading or participating in digital transformation programs should think about when and how to leverage the CEO throughout the program. There are times throughout the transformation’s lifecycle where the CEO need to market the strategy, prioritize investments, clear hurdles, and manage conflicts. A transformation implies that the business and operating model is going to change to align to a redefined digital business strategy, target new markets, address growing customer needs, and leverage technology to automate more of the operations. The implications are that over time, most front and back office functions will change in significant ways. The change management exercise impacts departments, teams, and people differently depending on whether they believe in the mission and see personal benefits. The reality is not everyone wins, and many people are fearful of change. While change management programs are designed to help leaders handle a wide variety of situations, knowing when to ask the CEO to play an active role is critically important. CEOs can’t watch from the sidelines, nor can they micromanage all aspects of the transformation. Here’s the thing. Not all CEO fully know their role in digital transformation programs. This is especially the case when the business is already facing market disruption or when technology was managed as a commodity and is now strategically important to the business. 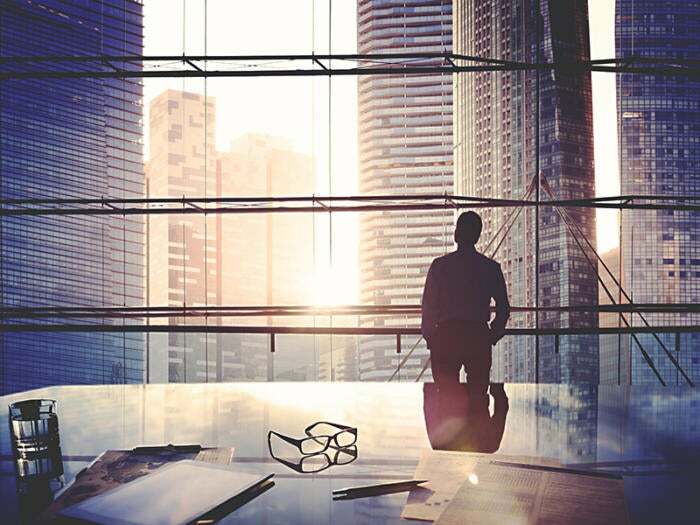 CIOs have a great opportunity to advance their relationship with the CEO by advising them on where they can positively impact the transformation. In looking at the program in its early stage, the CIO should be looking for the CEO to take on several roles. First, the CEO should be marketing the mission. It must be repeated to leaders and employees several times and the CEO should help answer several key questions. Why must the organization pursue the defined digital business strategy? What are the issues with the existing business model? Who are the new competitors that are disrupting existing businesses, products, and services? What markets is the organization targeting? What are the new and emerging customer needs and expectations? Why technology is critical for future success? These communications should always end with some of the short-term goals of the program and how people can participate. The CIO and others on the leadership team also be communicating and answering these questions, but the staff wants to know and see that the CEO is truly behind it and driving it. With a strategy and mission defined, their needs to be clarity on how the program is being led and how responsibilities are aligned. It’s typical in larger organizations to have CIOs, CTOs, CMOs, CDOs (both digital and data), COOs, CISOs and others having an active leadership role in the program. If responsibilities are not articulated, it can lead to political disfunctions that undermine the program. If responsibilities aren’t clear, then this needs to be discussed and resolved. The CEO needs to know where responsibilities lie and answer questions when alignments aren’t clear. Having participated in several transformation programs in my career, this lack of clarity can lead to infighting, execution gaps, and many other issues that derail transformation programs. The second role for the CEO is to free up resources. When the CIO asks for investment, it is often competing with other business and organizational needs. Setting priorities and communicating funding expectations is very important but winning over business leaders requires ongoing attention from the CEO. Business leaders that feel like they lost funding for their initiatives may become detractors. For transformation programs, it also may require stretching the governance model of how to develop and present business cases. Early stages of the program are best managed through experiments, proof of concepts and pilots that may not have hardened timelines or well estimated financial models. CEOs have to challenge the culture, mindset, and existing governance models to help get some air beneath the wings so that the transformation program can takeoff. Finding the funding is just the start and even more critical is getting multi-disciplinary teams leading and participating in the program’s initiatives. In the early stages of the program it often requires pulling the best, brightest, fastest, most collaborative, and top agile thinkers from different parts of the organization to leave their day jobs behind and immerse themselves in the program. That’s often a big ask of business leaders that rely on top performers to meet short term business objectives. The CIO has to make it clear who needs to be on the team and help to get their managers to realign responsibilities. Occasionally, the CEO is needed to resolve conflicts and clear paths to get a winning team on the program. Once a mission, resources and people are aligned to the digital transformation, it’s time to focus on the obstacles that slow down and sometimes completely block execution and change management programs. Very often, it’s the organization’s legacy mission, values, and culture that creates friction or directly conflicts with the goals of the digital business strategy. There are several common themes. Operationally focused companies often struggle with adopting agile practices and mindsets. Sales driven companies may have difficulties adopting product management practices. Businesses that have had the luxury of operating at arm’s length from customers and end users may struggle with understanding how their needs are evolving. If the program calls for a more centralized technology platforms and data architectures, some business groups running shadow IT programs may resist. There are always people who persist on doing things “the ways we always have done it” and others that want to change everything too fast. Some people are used to driving decisions based on experience and intuition while others may be overly ambitious with data driven decision making and strive for data perfection. These are examples and no two organizations have the exact same collection of issues. The most important thing for a transformation leadership team to do is to have regular open discussions about the problems and their impacts. The CEO should be part of these discussions and should be part of the team with a defined role in how the most impacting cultural conflicts will be addressed. More importantly, the CEO needs to own and define the future culture of the organization. Consider these recommendations for when you start a digital transformation program or kickoff one of its major initiatives. All of these practices need to be revisited as the program goes from early formation.